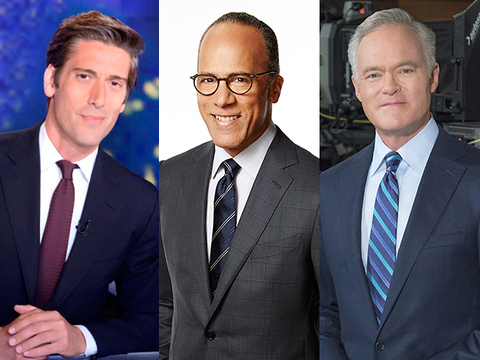 NBC Nightly News with Lester Holt was the top evening newscast of the week, not just in the key A25-54 demo but also in total viewers. Nightly has now ranked No. 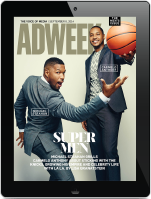 1 in the demo for 90 of the past 91 weeks, and has extended its lead over ABC in the ad-friendly category by +14 percent from last season. On the downside, Nightly was -4 percent in total viewers and -5 percent in the aforementioned news demo versus the same week last year (week of April 18). ABC World News Tonight with David Muir finished second place in total viewers despite posting +1 percent year-over-year total audience growth. The program was -6 percent in the demo despite the fact that Muir was on break during the comparable week last year. Nevertheless, season to-date, World News Tonight ranks No. 1 in total viewers for the first time at this point of the season in 21 years – since the 1995-96 season. The CBS Evening News with Scott Pelley finished in third place, and posted year-over-year audience losses. CBS was -6 percent in total viewers and -8 percent in the demo in the evenings relative to the same week in 2016.